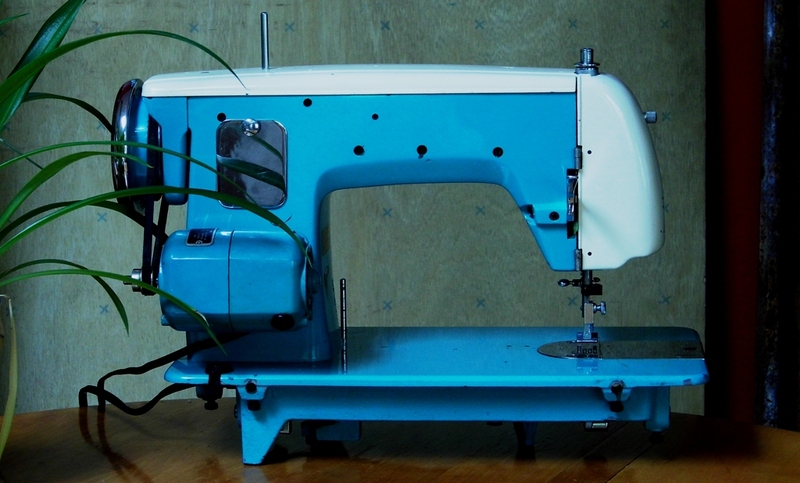 This gorgeous Universal DeLuxe sewing machine is one of the best of the mid-Century machines. I've always been impressed with the Universal machines because of their power, great features, and their overall beauty. 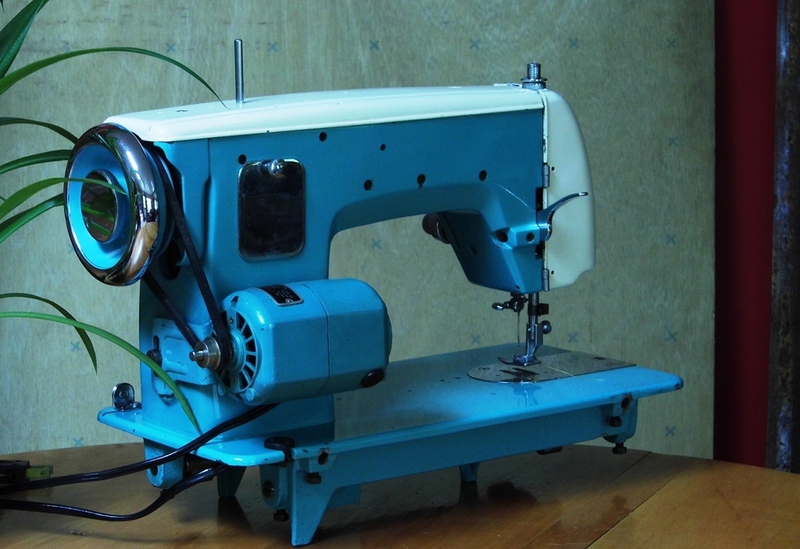 And this one has a strong 1.5 Amp motor, the strongest that was regularly offered on a home sewing machine, so she will power through multiple layers of heavy material and even garment leather. 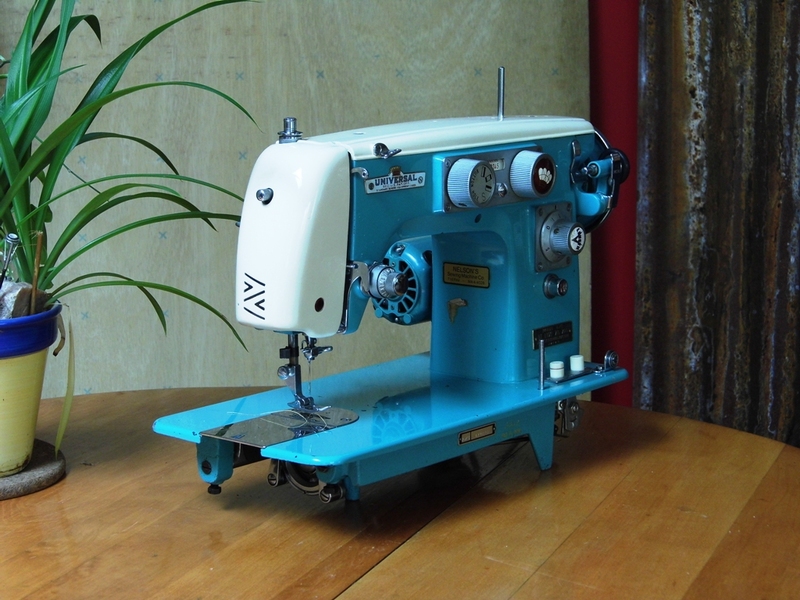 This one has some great features, like the easy, push-button feed drop with a separate setting for silk and delicate fabric, and the sewing foot pressure can be released with a touch and restored or adjusted with another touch. The stitch width dial can be locked to hold an even width, or it can be unlocked so you can make great ribbons and swirls when you free-hand sew. She also features built-in buttonholes. We've been deep inside her to make her clean, clean, clean, inside and out. Her various assemblies and motor have been disassembled and the parts scrubbed in an alcohol bath, before being polished and restored to the machine. Each assembly is tested as it's completed and then the machine as a whole, to be sure everything is as it should be. 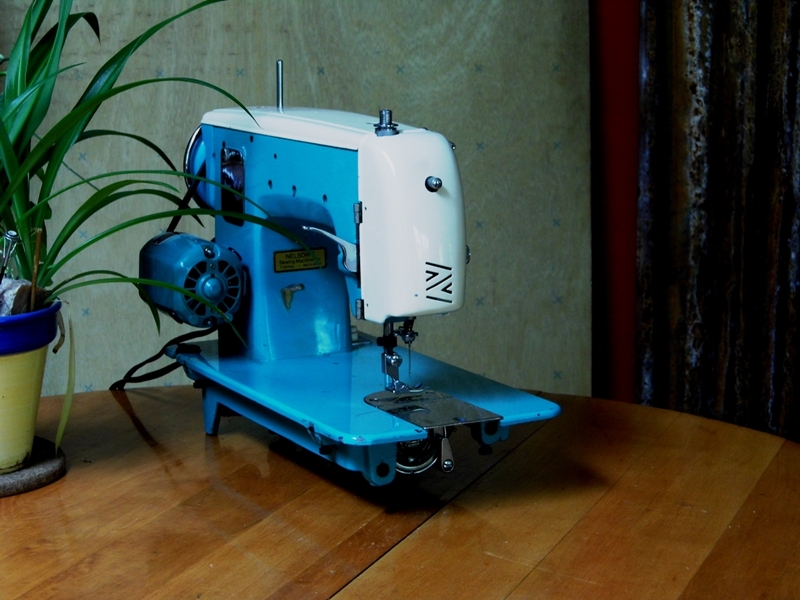 I am Mike Kraemer and I did the work on this fine Universal machine. 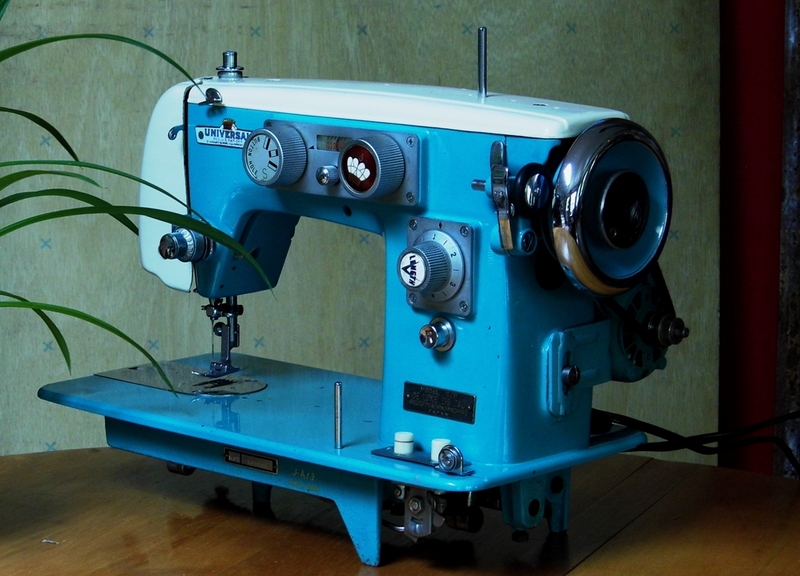 I attest to her great condition and the fine quality built into her in mid-Century Japan. Joey Darke was your detailer, and she does beautiful work. 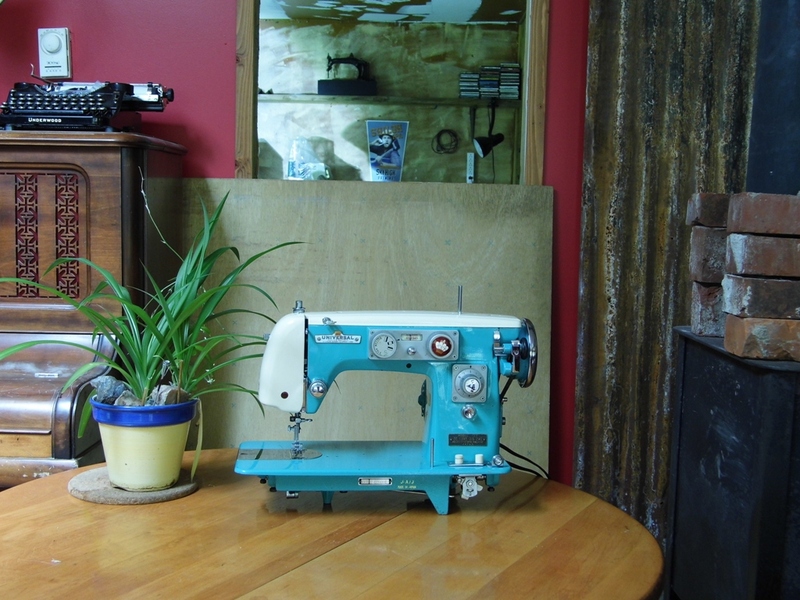 Along with the rest of our crew, we are Stagecoach Road Vintage Sewing Machine, and we've restored over a thousand worthy machines and shipped them all over the country and beyond. 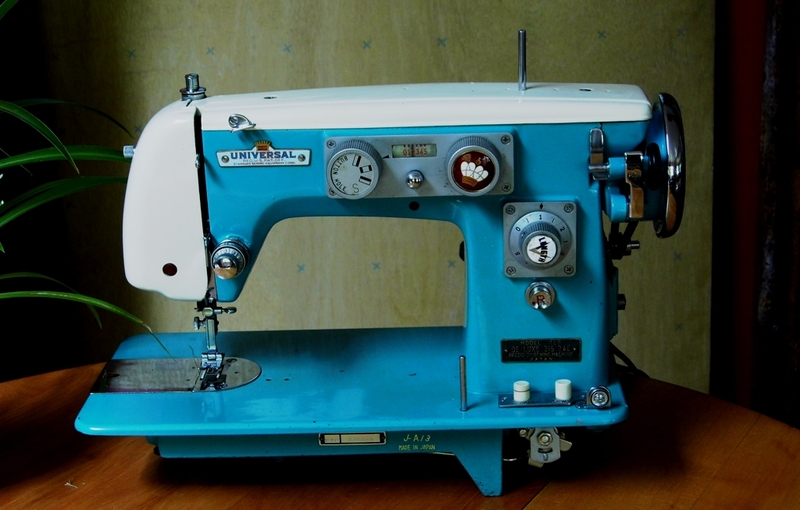 Additionally, we offer you this Free Lifetime Guaranty, that if you ever have a problem with this machine, just bring or send her back to us and if it's something we can fix, we'll fix it for free. You, of course, will pay for any parts or shipping. Read the details here: http://stagecoachroadsewing.com/guaranty.html. It's short and in plain English.